‘Overlord’: First Domestic Poster and Teaser Reveals J.J. Abrams’s Next!! Check It Out!! | Welcome to Moviz Ark! 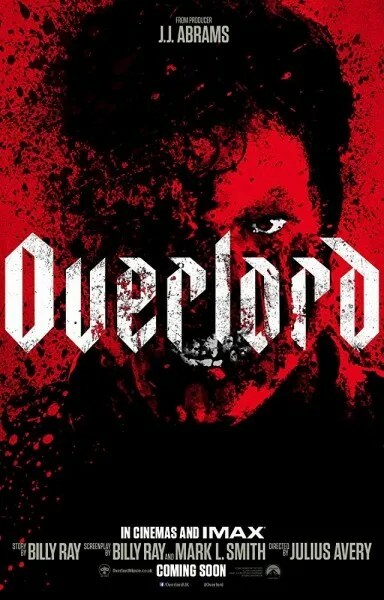 ‘Overlord’: First Domestic Poster and Teaser Reveals J.J. Abrams’s Next!! Check It Out!! Bad Robot, Paramount Pictures, and J.J. Abrams are dropping an original, non-franchise feature this fall, so you just know that it’s got to have some mystery box elements. 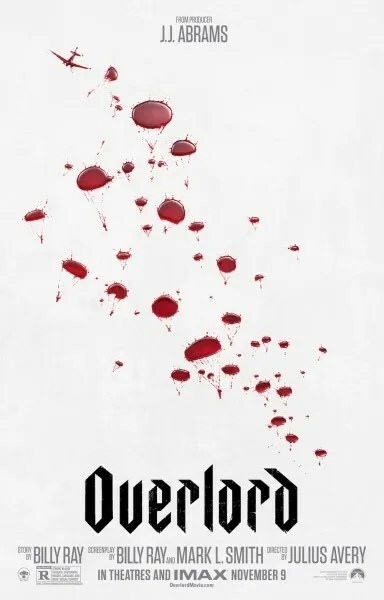 Proof positive, the arrival of a new Overlord poster reveals not only the clever design that ties into the film’s plot, but also hides the beginning of a viral marketing campaign in plain sight. In the upcoming WWII horror-thriller, a group of American paratroopers drop into Nazi-occupied France on the eve of D-Day. As they struggle to carry out their seemingly impossible mission, they discover a secret Nazi lab carrying out terrifying and bizarre supernatural experiments. Directed by Julius Avery, the cast of Overlord includes Jovan Adepo, Wyatt Russell, Pilou Asbæk, Mathilde Ollivier, John Magaro, and Iain de Caestecker. Overlord opens November 9th. Sharp-eyed viewers may have spotted a URL hidden within the frames of the new poster reveal. Now you can search for and click on through that URL on your own if you’d like, or you can just see where it takes you below. Direct Message @OverlordMovie on Instagram “Aidez moi” to discover more. From producer J. J. Abrams comes #Overlord. In theatres 11.9.18. Now if you go ahead and follow through with that there message, you’ll get a response from the marketing team. Just what that response is, we don’t know; we’re still waiting ourselves. ← ‘Ghost Light’: First Trailer Unleashes a Shakespearean Curse!! Check It Out! !